PRESS RELEASE: ANNOUNCING: Padma Newsome's "The Vanity of trees"
New Amsterdam is excited to announce The Vanity of trees, the new album from acclaimed Australia-based composer, multi-instrumentalist, vocalist, conductor, arranger, and frequent collaborator of bands such as The National and Clogs, Padma Newsome. 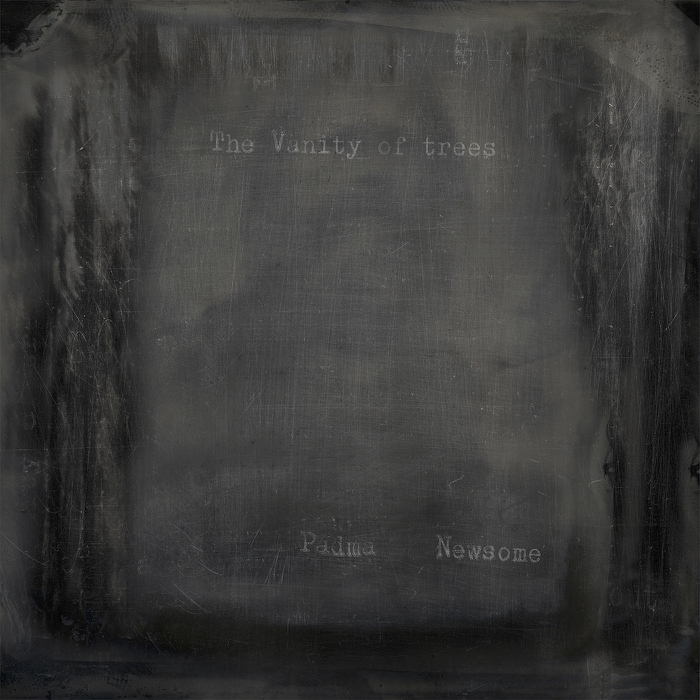 Out Nov. 16, The Vanity of trees is a sonic essay inspired by the landscape of Padma Newsome’s home of the past 14 years, Mallacoota, Australia. The small town of about 1000 people sits along an inlet of the Tasman Sea in the far eastern corner of Victoria, along the edge of wild sea and forest. “Beauty and a stifling harshness exudes: a seeming wonderland of internal rarefied struggle,” Newsome says of the landscape, where he lives a lifestyle of reflection and seclusion. “Grey Gums, some of the main characters, often Koala’d, and stooped in the distance around a pond: a three tree stand. Also distant, but envied, the angophera floribunda, recent from a beating by the Fruit Bats, but still lays a long and broad shade. In absentia, the Snow Gum, who beckons like a phantom from the highlands: a ghostly beauty. A statue and fierce in death, an all gnarled Cherry Ballart, bonded to the roots of a Bloodwood, lower limbs cut by man, with bulbous giant black warts clustered at its elbows and corners. Mystery dwellers, long gone, an empty inedible elegance. No longer with us: a mature She-oak, allocasuarina, she and he, two friends both laid strewn together after a great storm. They had fallen arm in arm perhaps in a death tryst. White ant, the quiet destroyer, had gotten right in and that same night had felled the most Proud Trunk, an ancient tome. We felt it in our beds and attics, quaking the hill from miles away. On neutral ground a towering Bloodwood stands next to a pair of Grey Gums, where the night singers sing under sky and stars. Newsome wrote, performed and recorded the music in large, committed sweeps - relying almost entirely on his gut, ear and modest equipment. His blend of classical, folk and post-rock influences swathed in shifting textures are both grounded and punctuated with his classic and extended techniques on violin and piano. There is an embedded modernism tucked away amongst the leaves. Newsome’s haunting, sometimes yearning, vocals are imbued with his deep respect for his wild companions; the result is a collection of earnest and evocative pieces as sonically varied as the landscape that Newsome honors. All instruments and vocals on The Vanity of trees were performed by Newsome, with the exception of the bass recorder, which was performed by Monica Schmidt Andersen. All tracks were recorded and mixed by Newsome except for “Tacky Parlour” and “All Hollowed Out” which were mixed by Anthony “ToK” Norris. Norris also mastered all of the tracks at Norris at ToKwerX in Melbourne. In addition to The Vanity of trees, New Amsterdam Records and Newsome are also presenting le creature nel giardino di Lady Walton, the inspiration behind Clogs' release, "The Creatures in the Garden of Lady Walton" (Brassland, 2010). Scored for six bass clarinets, the music features performances by his sister, Sue Newsome, and will be available the same day as Vanity of trees, November 16, through New Amsterdam’s digital-only, subscription-based Windmill Series. More information coming soon.